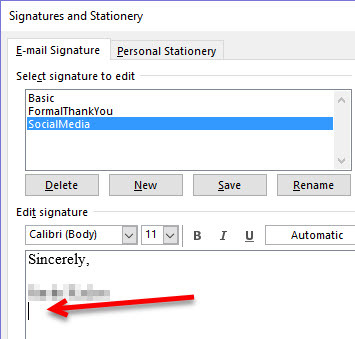 How to create and use different signatures in Outlook 2010-2016. 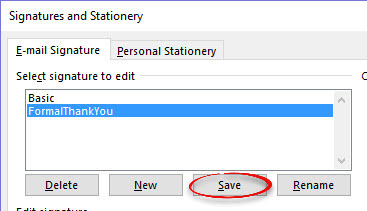 Step 1:In Outlook, click the File tab and go to Options. 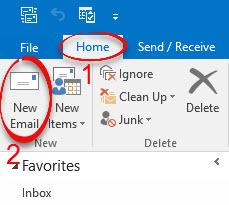 Step 2:Choose Mail from the left pane. Step 3:Click Signatures... from the Compose messages section. 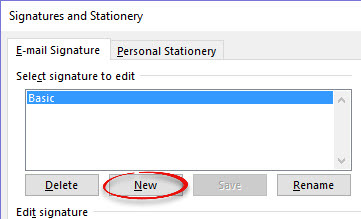 Step 4:Click New to create a new signature. 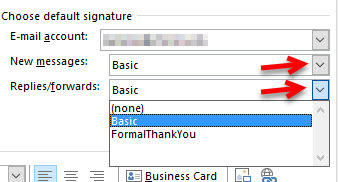 Step 5:Enter the name for your signature and click OK. 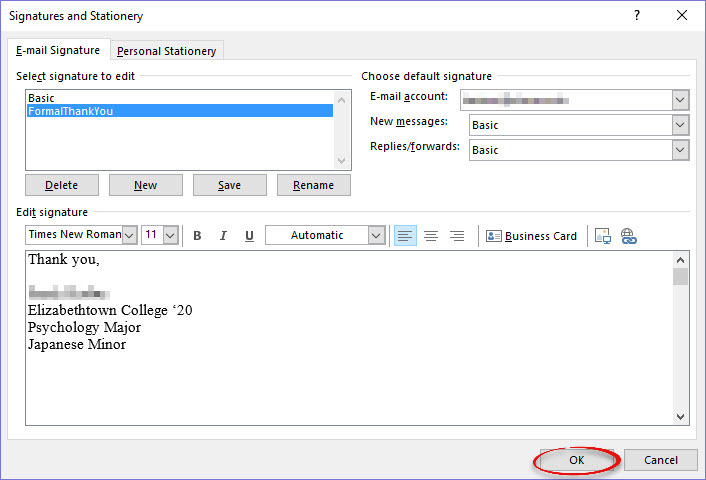 Step 6:With the name of your signature selected, click in the Edit signature text box and create your signature. Click Save when finished. Step 7: Click New to add more signatures and repeat Steps 5 and 6. Step 8: Now assign a signature to New Messages and Replies by clicking the drop-down list arrow and selecting a signature. Step 9: When you are finished, click OK. 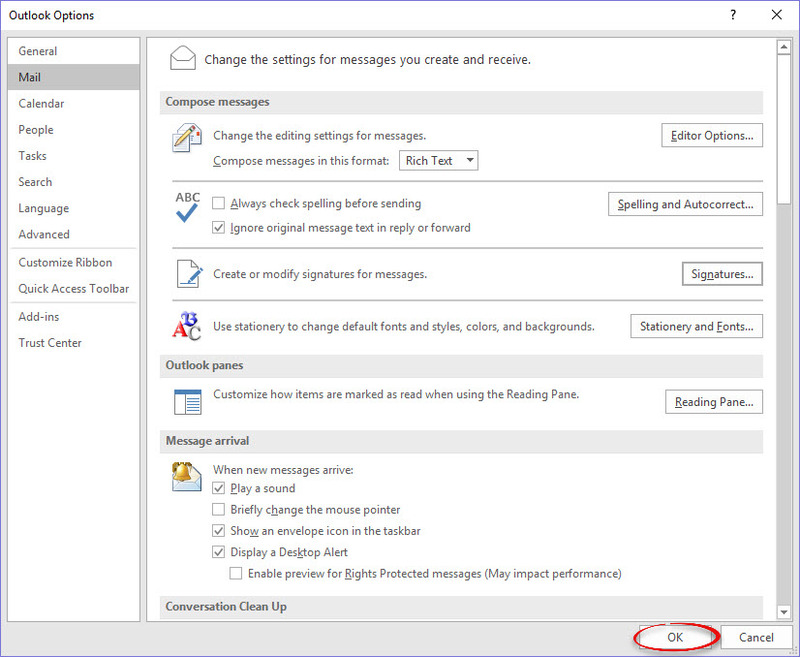 Step 10: Click OK on the Outlook Options window. Click the gear in the top right corner of the window and select Options. Expand Mail and Layout. Then click Email signature. Type your desired email signature into the box. Choose when to include your signature by checking the boxes. You can choose to include your signature on all new messages and/or on messages you forward or reply to. 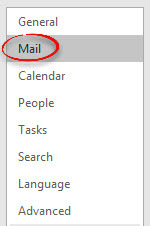 Step 1:In Outlook under the Home tab, click New Email. 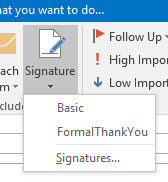 Step 2:By default, the first signature from your list will appear in the e-mail. 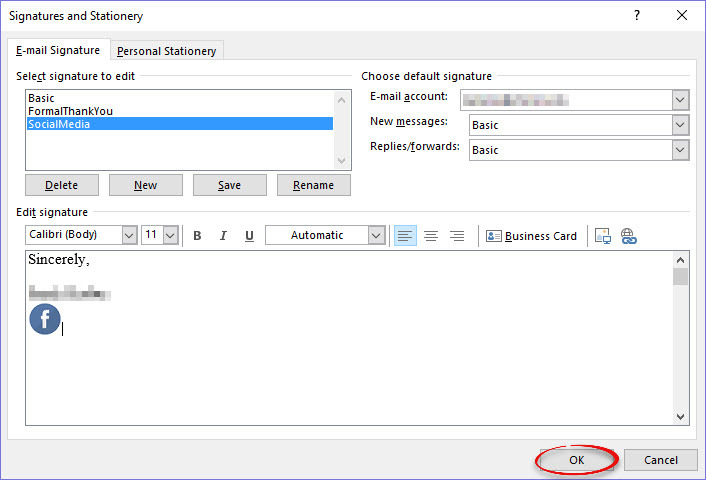 Step 3:To use a different signature, click the Message tab and choose Signature from the Include group. An alternate is to right mouse click on the existing signature and left click on a signature from the resulting list. 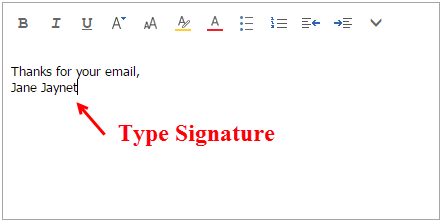 Step 4:From here, you can choose a different signature to use in your e-mail. You can also click Signatures... to edit your signatures or set the default. 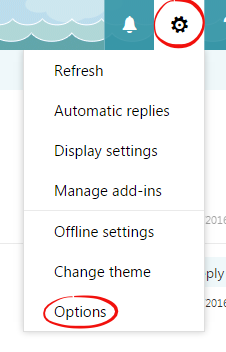 Step 5:To set your default signature, choose your options from the drop-down lists next to New messages and Replies/forwards under Choose default signature. You can add social media icons that link to your sites in your signature. Recipients can click on the icons to go to your respective social media site. Step 1: Download the icon that you wish to use. 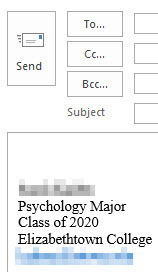 Step 2: Locate and open the signature in Outlook that you would like to add social media icons to. Place your cursor where you want the icon to appear. Step 3: Click the Insert Image button above the signature text box. Step 4: Select the icon you wish to include in your signature. Click Insert. Step 5: The icon will appear in your signature. With the icon selected, click the Insert Hyperlink button above the signature text box. 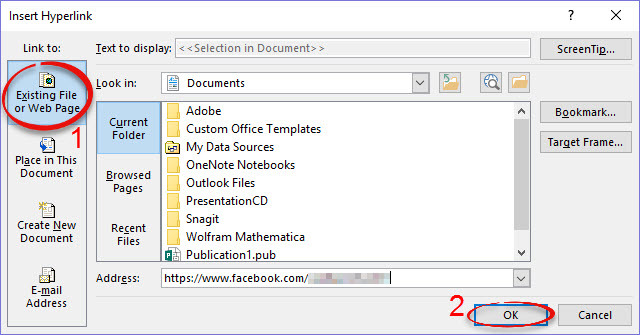 Step 6: Under Link to, make sure Existing File or Web Page is selected. Enter the URL of your social media site in the Address text box. Click OK. Step 7: Repeat Steps 3-6 to insert more icon links to your social media sites. Step 8:Click OK on the Signatures window when you are finished. Step 11: The social media icons will now appear in your signature and link to your social media sites. Step 1:Start Outlook. Click the File tab and choose Options. Step 3:While holding the [Ctrl] key, click on Signatures... under the Compose messages section. 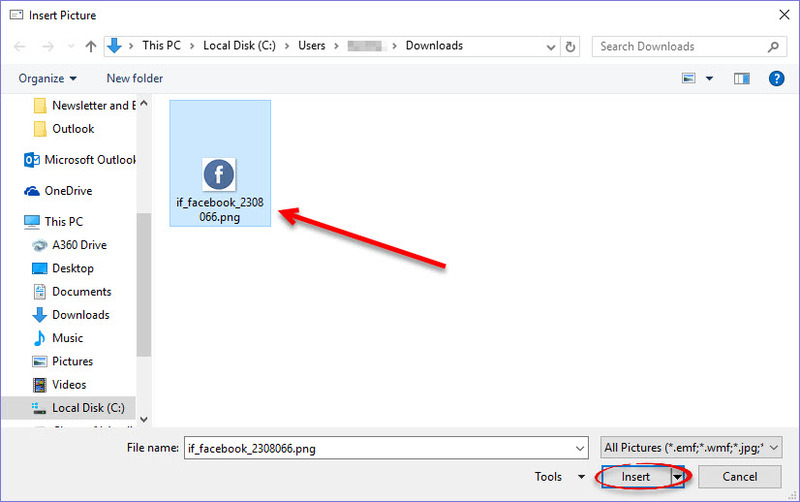 Step 4:The Signatures folder will appear. From here, you can copy all of the files to a backup location (such as a flash drive) so that they can be transferred to another computer. 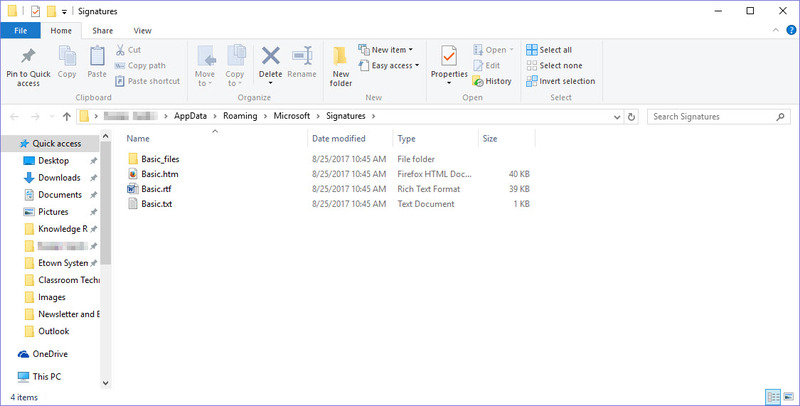 Step 5:When you transfer the signatures to another computer, you will have to repeat Steps 1-3 on the different computer and paste the Signature files in this location.